How Many Taxpayers Fall Into Each Income Tax Bracket? Most taxpayers are aware that the federal income tax is designed to tax individuals with higher incomes at higher rates. 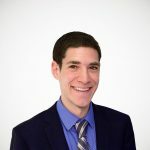 Specifically, the income tax is structured around seven tax brackets, which impose rates from 10% to 39.6% on each additional dollar that individuals earn. As shown in the graph above, over 42 million American households fall into the 15% bracket, making it the most common tax bracket. 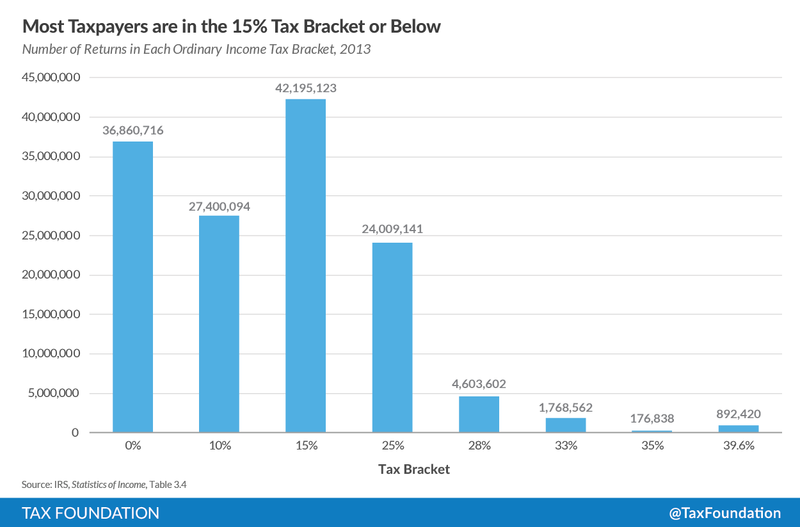 Households in this bracket pay 15 cents of each additional dollar of salary they earn in income taxes; however, their overall income tax rate is usually much lower. On average, households in the 15% bracket pay 6.5% of their income in income taxes, due to the standard deduction, personal exemptions, and various tax credits. Next most common is for a household not to fall into any income tax bracket at all. This occurs when a household’s income is less than the value of the deductions and personal exemptions it is able to claim. Over 36 million households do not fall into any tax bracket. However, this figure does not represent all of the American households who pay no income taxes, as even households that fall into an income tax bracket are sometimes able to reduce their tax liability to zero with tax credits. 27 million American households fall into the 10% tax bracket, and 24 million fall into the 25% tax bracket. All in all, the majority of American households (77%) fall into the 15% tax bracket or below. Only 892,420 households fall into the top income tax bracket. These households face a rate of 39.6% on their ordinary income, although they face lower rates on income from long-term capital gains and dividends. Overall, these households face an average effective tax rate of 28.5%, higher than households in any other bracket. You can figure out which income bracket your household will fall into in 2016 by taking your expected adjusted gross income (line 37 on Form 1040), subtracting your deductions and personal exemptions (lines 40 and 42), and looking at the table above to see what bracket the figure falls into.